This weekend, ‘anti-Tinder’ app went one step further in their quest to promote personality, by rebranding Valentine’s Day ‘AntiSelfie Day’. The premise? 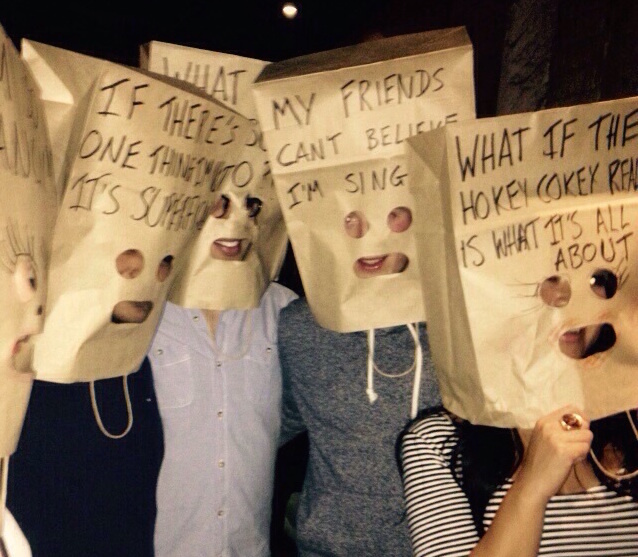 Singles all over the world celebrate the power of their personalities, by covering their heads in paper bags. Paper bags are fast becoming the emblem of the dating app – after they launched last year with an award-winning paper bag speed dating night at the Science Museum. 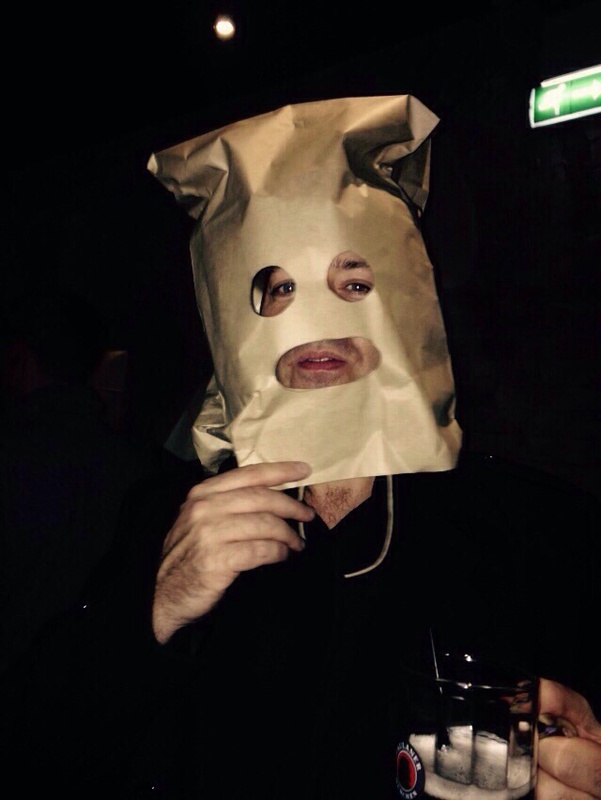 However, with over 300 London singles signing up to attend AntiSelfie Night, at OSLO in Hackney, this was set to be the company’s biggest gathering of paper bag-clad singles yet. Not one to miss out on London dating history in the making, I spent a romantic Valentine’s morning with the Rugby Boy at Borough Market, and then left him to watch the rugby, while I headed to East London, with my favourite wing woman Purdey Miles. 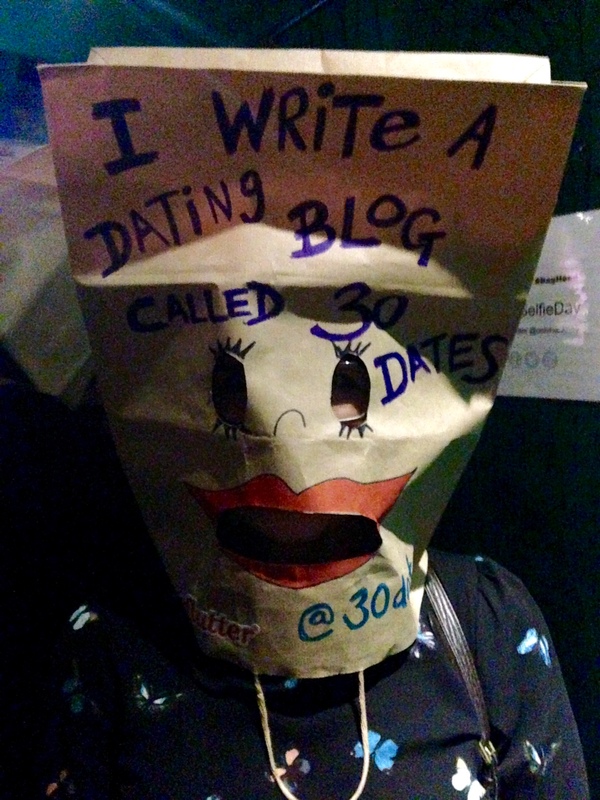 Don’t worry guys, the paper bag provided the perfect opportunity to show I was representing the dating blogger press – guests were encouraged to personalise their paper bags, and so mine came with a very clear message! Here’s a shot of Purdey cutting out her eye holes on my sofa before the party! It was only when Purdey and I arrived that we realised most guests had only got their bags on the door, so ours were comparatively detailed and colourful ( a bit of a contrast to the beautiful promotional shots Loveflutter often use). However, there were pens being shared around, and a personalisation table in the corner, and people were getting into the spirit, often writing on their mates’ bags, without the recipient knowing what the writing said! I have to admit, it was all rather cramped. Unfortunately, last minute cancellations meant we were no longer in the large downstairs area of OSLO, and so we all had to traipse through a restaurant full of dining Valentine’s couples, on our way to the stairs at the back of the room. It made for a rather odd message – the thing all single people out on VDay are trying to avoid! The small space was accentuated by the fact that the paper bags take up A LOT of room! The other issue with the bags, is that in a cramped space, where you can’t easily see other people’s bodies, it was actually really hard to identify men from women! At first the crowd seemed very women-heavy, however as it approached 10pm (and the big unveiling … only the first 2 hours of the party were with bags on), more and more men appeared – something rare at singles events. The small bar area was quite hot, and it got quite itchy under the bags, so several people were holding their bags up, fanning themselves, or even taking them off, ahead of the moment of ‘de-bagging’. It was also quite hard to hear people with the bags on. 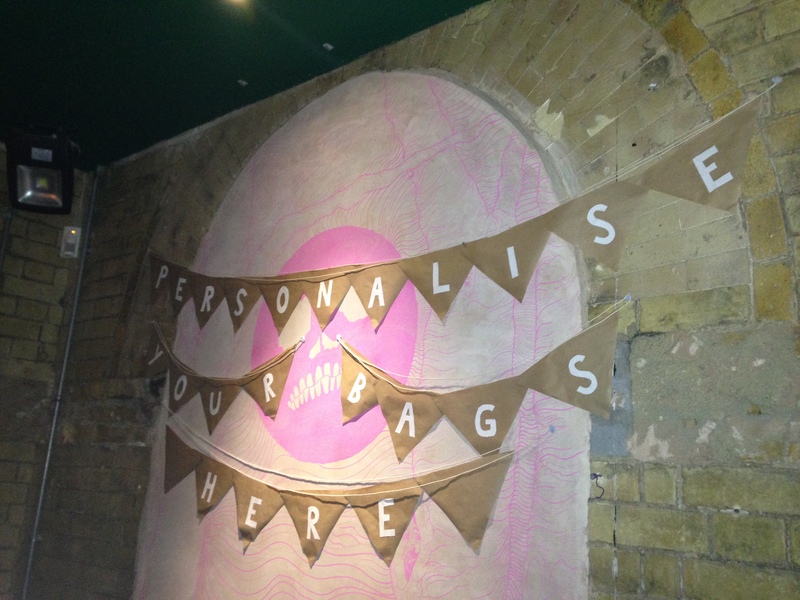 I can see how paper bags would work far better at a speed dating event – as the smaller crowd were more obedient, and actually wrote quirky facts on their bags (an idea based on the dating app), and obviously easily knew who were men and women. At a speed dating event, with a maximum of around 20 people talking at once, in a quiet museum it also must have been easier to hear than in a bar, with music playing. 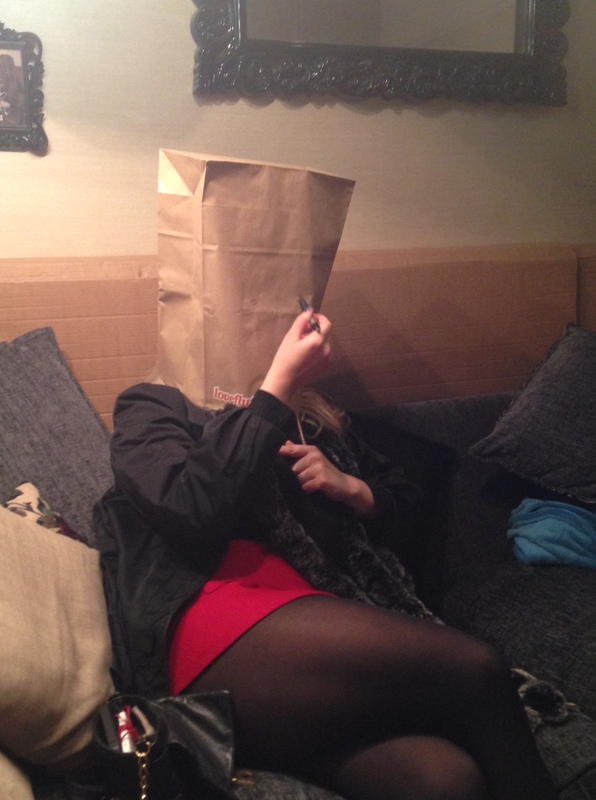 Interestingly, despite being AntiSelfie Day, everyone was taking selfies … I mean, how often do you go out with a paper bag on your head?! At 10pm, Loveflutter founder Daigo Smith jumped onto the personalisation table, and announced to the room that it was finally time to de-bag! 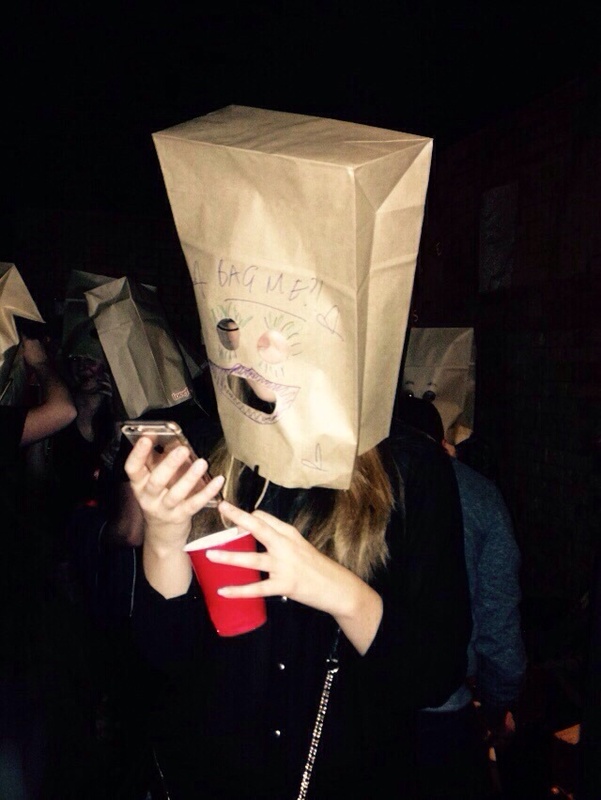 Paper bags fell to the floor, and people filtered into the neighbouring dance-floor room. Overall it was a really well-attended event. Whilst there weren’t 300 people, there still must have been close to 100 people in and out of the event before 11pm, when Purdey and I headed home. I was genuinely surprised by how many guys attended – again, proving men are more attracted to weirder-seeming dating events. I think I would have preferred to do paper bag speed dating, as from the photos people had made more effort with their bags, and it was just a bit too hot and itchy under the bag, but it proved a good ice-breaker, and a good gimmick to attract a whole range of daters. 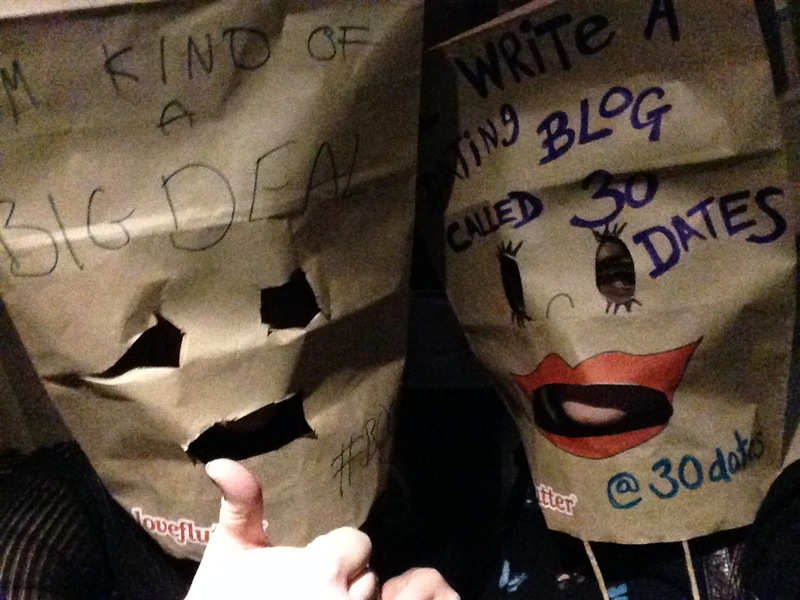 Fair play to Loveflutter – I know they use their paper bag events to draw publicity for their app, but I genuinely think they need to continue with their paper bag events, and come up with some other fun personality-based events.